Today I’m sharing with you a recipe I have always wanted to make. Hey…I’ve even tried to make them and they’ve always turned out ehhhh. But two weeks ago I made the most amazing Spinach Bacon Cheese Frittata and I can’t wait to share it with you! My husband and I attend the first service at our church every Sunday and it’s always a struggle to get breakfast made before we leave for church. We would each rush out the door with either a piece of fruit or maybe a smoothie. So over the summer we started skipping breakfast before church and enjoying a nice big breakfast after church…well really brunch. 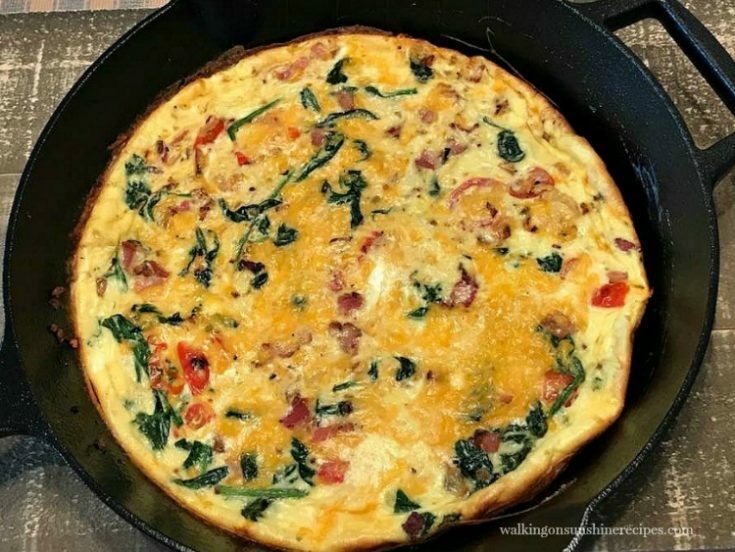 Two weeks ago I made this Spinach Bacon Cheese Frittata. It was delicious. But more importantly we were able to enjoy a nice breakfast later in the day and without rushing. 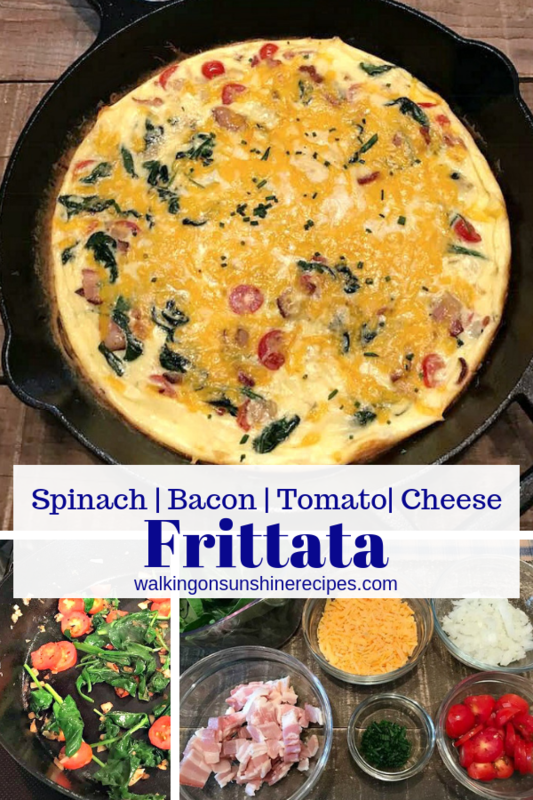 What Exactly is a Fritatta? 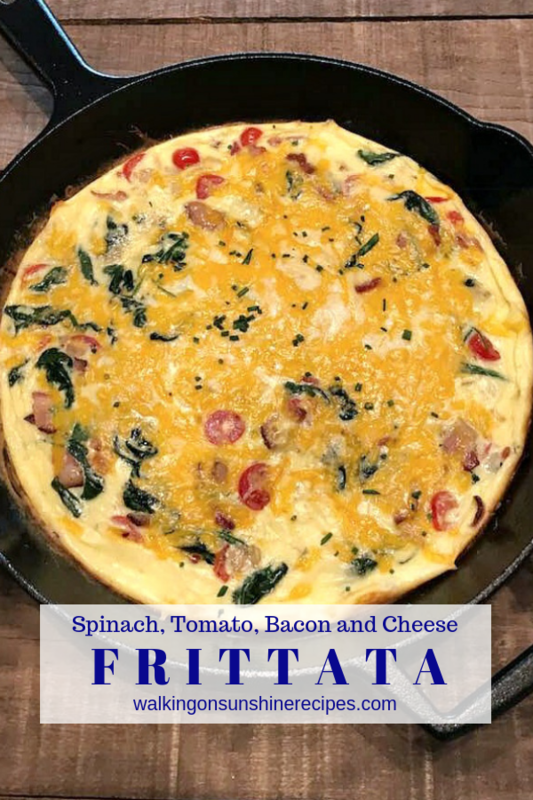 A fritatta an egg-based Italian dish similar to an omelette, crustless quiche or scrambled eggs, with added ingredients like meats, cheese and vegetables. They’re a great recipe to serve for brunch or special holiday breakfast. You need to use the right type of pan. 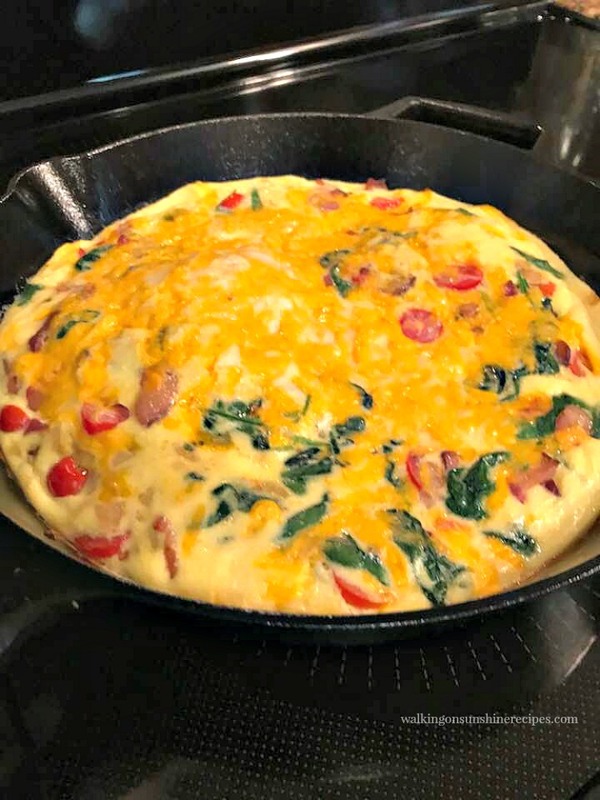 I really believe you need a cast iron pan to make a good fritatta or at least some other type of skillet that can also be used in the oven. I think that’s why the ones I tried in the past never worked right. You can use a stainless steel pan as well, but make sure you add extra oil or butter to the pan so the eggs don’t stick. Make sure you cook the vegetables before adding the eggs. Once you add the eggs, make sure you only continue to cook the frittata on top of the stove for a minute or two. Quickly move the pan to the oven to finish the cooking process. Cook the frittata in the oven just until the center is no longer jiggly and the edges are golden-brown. 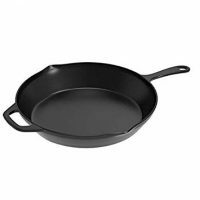 Cast Iron Pan – it’s really all I use right now to cook with. I love them that much. 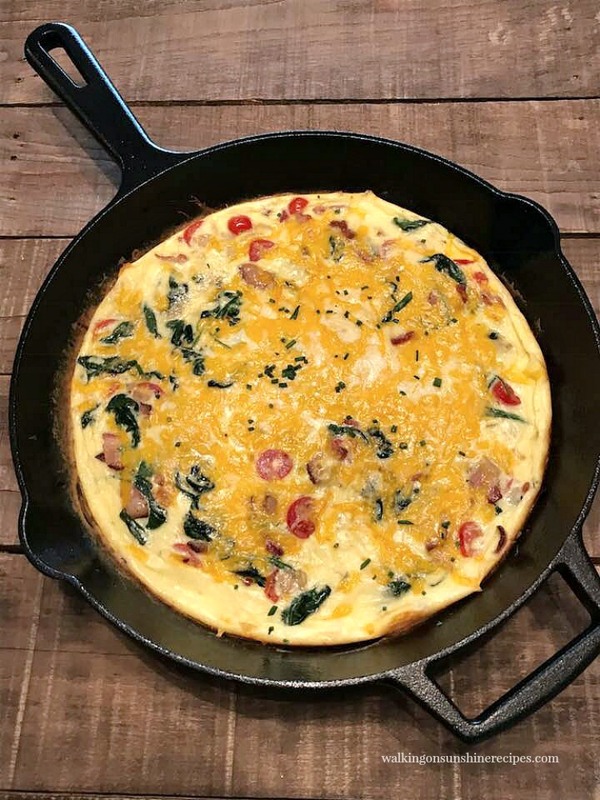 If you’re not sure how to use a cast iron pan, check out my post on Tips for Cooking with Cast Iron Pans. 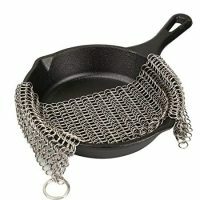 Stainless Steel Chain Mail Scrubber – it looks strange, but it works amazingly in helping clean a cast iron pan. 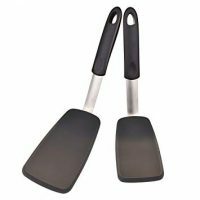 Silicone Utensils – when using cast iron, you definitely do not want to use metal utensils. 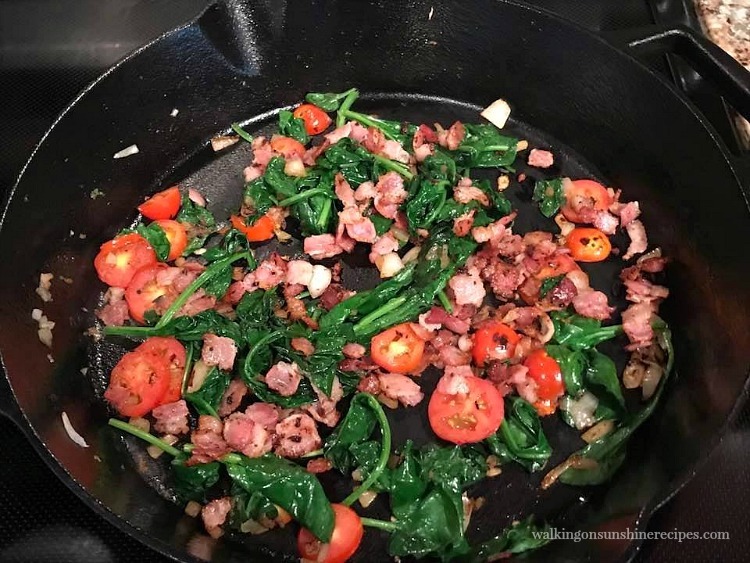 Saute the bacon in an oven-safe pan. Once fully cooked, remove the bacon and set aside. Add the onions to the same pan and cook until translucent. 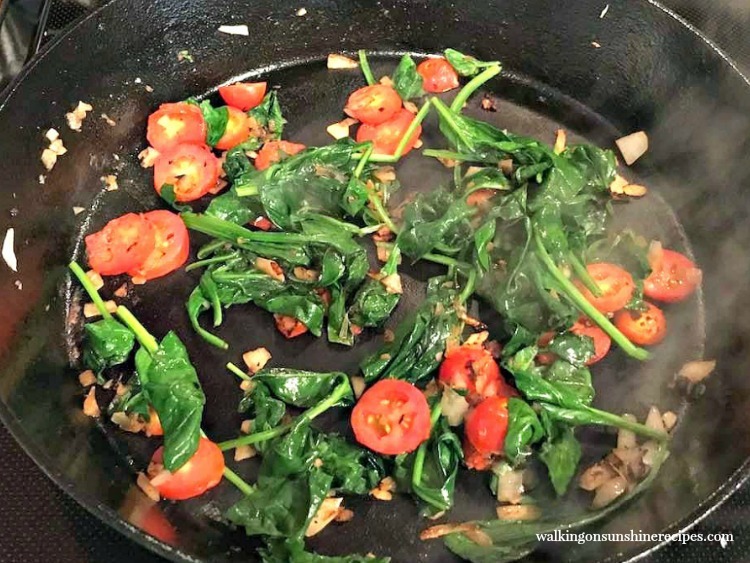 Add the tomatoes and the spinach and cook until the spinach is slightly wilted. I’m always surprised at how much the spinach cooks down. It also was very hard to get a photo without the steam and heat from the pan. Add the bacon back to the pan and stir to combine. Now add the eggs and cheese into the pan. Stir to combine and then place in the preheated oven immediately. Cook until the eggs do not jiggle in the middle; about 10 to 15 minutes. When the frittata comes out of the oven it will be “puffy” if that’s the right word. This really only lasts for a few minutes. It will deflate but that’s normal. Slice, serve and enjoy! 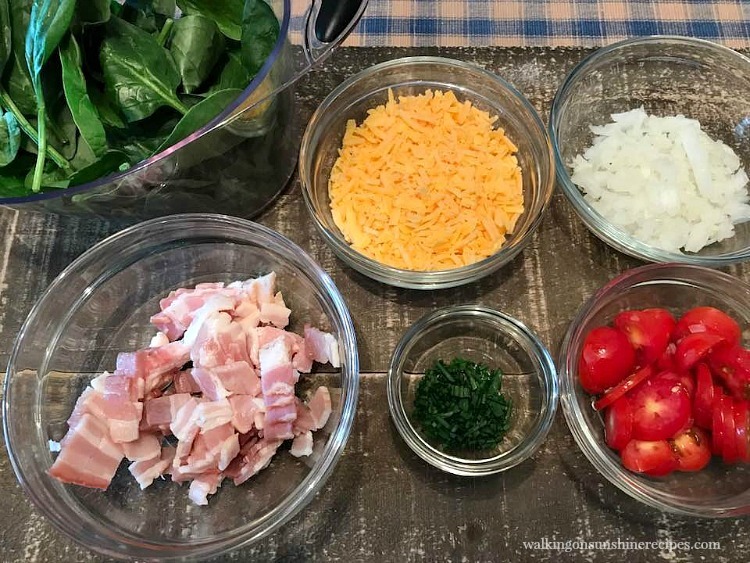 This recipe for Spinach Bacon Cheese Frittata has become our favorite thing to enjoy after church for Sunday brunch. In an oven-safe pan, cook the bacon. Once it's fully cooked, remove the bacon from the pan and set aside. Add the onions to the pan and cook for a few minutes or until they're translucent. Add the tomatoes and spinach. 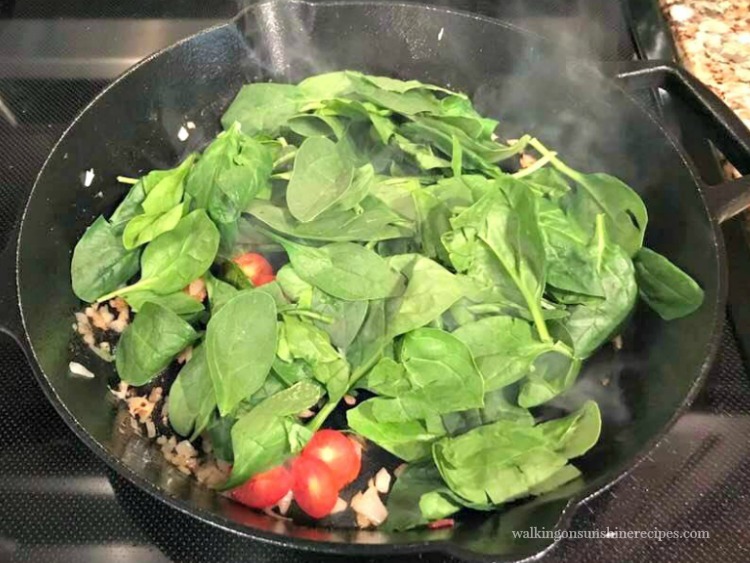 Cook for another few minutes or until the spinach is wilted. Add the bacon back to the pan and stir until everything is combined. Whisk the eggs, heavy cream, salt and pepper in a bowl. Add the egg mixture along with the cheddar cheese to the pan. 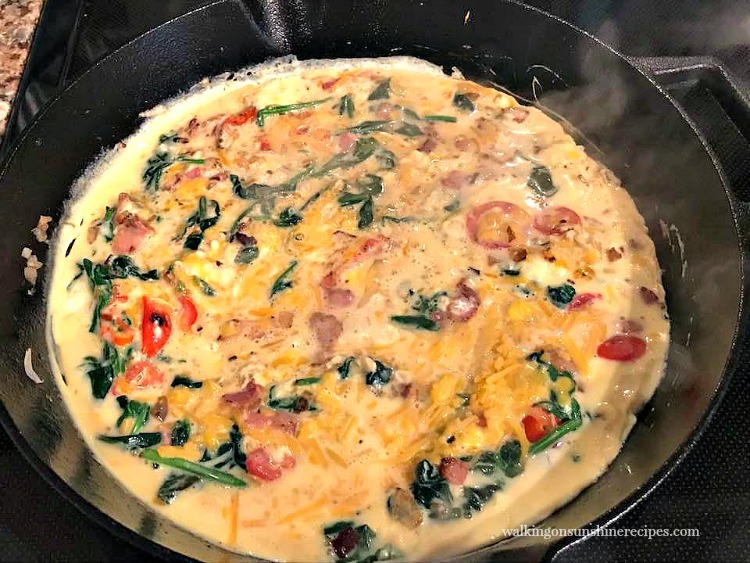 Stir everything together and immediately place in the preheated oven for 15 minutes or until the eggs do not jiggle in the middle. Garnish with the chopped chives if desired. 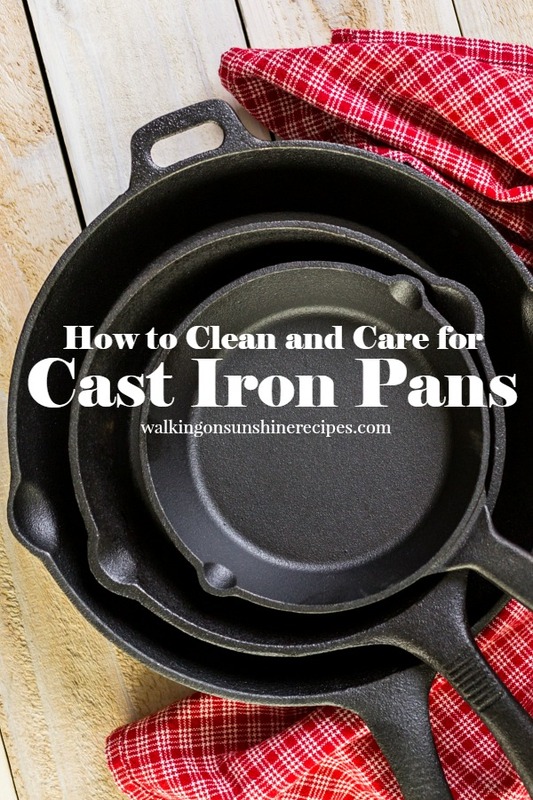 All you need to know about cleaning and caring for cast iron pans! Yum! This looks delicious! I found your blog from the Pin Junkie link up! So happy I did! I totally just pinned this recipe! I can’t wait to make it! Thank you for visiting and pinning the recipe! I make something similar to this and we love it. Simple one pan meal. Pinned. Thank you so much for catching that! I’ve updated the recipe card to show 1/2 cup heavy cream. Thanks for visiting. Thanks for catching that! I updated the recipe card to show 1/3 cup sliced grape tomatoes. I used a 12 inch cast iron pan. Your 8 inch pan might work. The frittata will definitely be thicker, Thanks for visiting!